Gina Miller, George Riba, Mercedes Owens getting NBC5 time. NBC5 is adding two familiar sports TV veterans to its summertime mix while searching for a permanent full-time replacement for David Watkins, who left the Fort Worth-based station earlier this year. 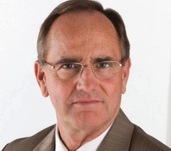 George Riba, formerly of TEGNA8 after starting at NBC5 early in his career, and Gina Miller (who anchored and reported at both TEGNA8 and CBS11/TXA21), will be filling in as needed at the anchor desk, NBC5 vice president of news Mark Ginther said Friday. 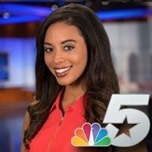 Mercedes Owens, who’s been freelancing at NBC5 since last September, also will log some time as a fill-in sports anchor, beginning this weekend and continuing through Monday. Riba retired from TEGNA8 in February 2015 after 37 years with the station. He also worked at NBC5 from 1974-’77. Miller, currently vice president of media and communications for FC Dallas, left CBS11/TXA21 in October 2013 after eight years. She earlier spent three years with TEGNA8. Owens, a graduate of Southern Methodist University, also has been doing reporting for Spectrum Sports in D-FW. NBC5 currently has just two full-time sports anchor-reporters -- Newy Scruggs and Pat Doney. Riba, Miller and Owens should have ample opportunities to fill in when the Dallas Cowboys start their annual training camp in Oxnard, CA, this time on July 24th. MEANWHILE, OVER AT TEGNA8 -- It’s been a long goodbye for Daybreak co-anchor Alexa Conomos, who first told management in January that she’ll be leaving the program and the station. She also offered to stay with Daybreak until her replacement was named. Also in TEGNA world, the corporation’s vice president for news, Ellen Crooke, is said to have raised eyebrows and perhaps even generated a little stomach churn with a suggestion at the recent Investigative Reporters and Editors conference in Phoenix. During a June 22nd panel titled “Broadcast: State of the State,” sources say that Crooke floated the idea that TEGNA stations’ investigative reports possibly could be “sponsored” down the road. Or to put it another way, “News 8 investigations are brought to you by (fill in the blank)” -- or some such wording. This is just a talking point for now, and nothing may come of it. TEGNA is very much a hands-on corporation, though, with TEGNA8 and other owned stations in major markets previously required to use the same opening theme music and color-coded news teases at the bottom of screens during newscasts. CBS’ Season 3 premiere of Zoo made an immediate case for its extinction Thursday. Airing in the 9 p.m. hour, it drew just 43,627 D-FW viewers and a rock-bottom 6,412 in the advertiser-prized 18-to-49-year-old demographic. That made it a distant last in both ratings measurements among the Big Four broadcast networks. Fox4’s 9 p.m. local newscast led across the board. Worse yet, Zoo fell dramatically from its Big Brother lead-in, which won the 8 p.m. hour with 145,422 total viewers and 57,728 in the 18-to-49 age range. ABC’s second episode of Boy Band again flopped in the 7 p.m. slot, where it ran last with 43,627 total viewers and 9,621 in the 18-to-49 realm. The network’s 8 p.m. premiere of its Battle of the Network Stars re-do then improved to 116,338 total viewers (second behind Big Brother) and 32,071 of the 18-to-49 persuasion (also the runner-up to BB). ABC’s second episode of The Gong Show, airing at 9 p.m., slipped to 101,795 total viewers, with 28,864 in the 18-to-49 motherlode. NBC5 nipped TEGNA8 for the most total viewers at 10 p.m. In turn, TEGNA8 beat Fox4 by a paper-thin margin in the 25-to-54-year-old demographic (main advertiser target audience for news programming). Fox4 swept the 6 a.m. competitions while NBC5 won in total viewers at 5 p.m. and with 25-to-54-year-olds at 6 p.m. Fox4 was tops with 25-to-54-year-olds at 5 p.m., and the Peacock and TEGNA8 shared the 6 p.m. lead in total viewers. It’s been quite a while -- a few months at least -- since an anchor or reporter has departed one of D-FW’s four major TV news providers. 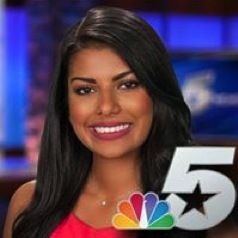 NBC5 general assignment reporter Homa Bash has ended that drought. After joining the station in September of last year from WEWS-TV in Cleveland, she’s returning to that station, news director Mark Ginther confirmed Thursday. Bash, who also has been a lively and frequent Tweeter, previously spent two years at WEWS and earlier worked at TV stations in Tulsa, Abilene and Bend, Oregon, where she got her start. She has a Masters degree in journalism from Northwestern University and a Bachelors degree in journalism, Middle East studies and political science from the University of Arkansas. CBS’ most enduring summer escape mechanism, Big Brother, returned for its 19th season Wednesday night. The ratings went through the roof -- at least by hot weather standards. Airing from 7 to 9 p.m. BB easily led all prime-time programing in both total D-FW viewers (174,506) and advertiser-prized 18-to-49-year-olds (80,178). Few CBS shows do well in the latter key demographic, but BB almost always does -- and on multiple nights, too. Fox4’s 9 p.m. local newscast otherwise won that hour with 138,151 total viewers and 41,632 in the 18-to-49 age range. TEGNA8 drew the most total viewers at 10 p.m. while Fox4 won with 25-to-54-year-olds (main advertiser target audience for news programming). Fox4 and TEGNA8 tied for the 6 a.m. lead in total viewers, but Fox4 edged the ABC station in the 25-to-54 demographic. NBC5 and CBB11 tied for first in total viewers at 6 p.m., with Fox4 again winning outright with 25-to-54-year-olds. The Peacock drew the most total viewers at 5 p.m. while Fox4 and CBS11 shared the top spot among 25-to-54-year-olds. LOCAL TV NEWS NOTE -- CBS11 will air a half-hour special, Dallas Ambush: One Year Later, to commemorate the one-year anniversary of the July 7, 2016 police shootings in downtown Dallas. It’s scheduled for Friday, July 7th at 6:30 p.m., with Doug Dunbar and Kaley O’Kelley anchoring. NBC swept Monday’s and Tuesday’s prime-time ratings in the key advertiser-prized 18-to-49-year-old demographic -- all with “reality-competition” shows. Tuesday’s two-hour edition of America’s Got Talent drew 57,728 D-FW viewers in the 18-to-49 realm to knock off ABC’s competing The Bachelorette (38,485). The Peacock’s World of Dance increased that haul to 70,556 viewers, with Fox4’s 9 p.m. local newscast placing second with 41,692. AGT also won its time slot in total viewers, but World of Dance was runner-up to CBS’ 9 p.m. repeat of NCIS: New Orleans. ABC’s back-to-back final two episodes of Downward Dog, which is being canceled, went out with a whimper from 9 to 10 p.m. with fourth place finishes in both total viewers and 18-to-49-year-olds. But the critically praised comedy is hoping to find a new home. On Monday night, the Peacock’s American Ninja Warrior led all programming from 7 to 9 p.m. among 18-to-49-year-olds ( 57,728) before the network’s Spartan: Ultimate Team Challenge won from 9 to 10 p.m. with 44,899. Despite blowing a 9-2 lead and losing 15-9 to the Cleveland Indians, Monday night’s Texas Rangers game on Fox Sports Southwest averaged the most total viewers with 159,964. Monday -- TEGNA8 swept the 10 p.m. competitions in total viewers and 25-to-54-year-olds (main advertiser target audience for news programming) while Fox4 did likewise at 6 a.m.
TEGNA8 also drew the most total viewers at 6 p.m. and tied Fox4 for the top spot at 5 p.m. with 25-to-54-year-olds. NBC5 drew the most total viewers at 5 p.m. and Fox4 was tops with 25-to-54-year-olds at 6 p.m.
Tuesday -- CBS11 ranked first in total viewers at 10 p.m. while TEGNA8 overcame the night’s worst lead-in from Downward Dog to win with 25-to-54-year-olds. Fox4 again ran the table at 6 a.m.
At 6 p.m., TEGNA8 nipped NBC5 for the most total viewers, but Fox4 comfortably won among 25-to-54-year-olds. The Peacock and TEGNA8 shared the 5 p.m. spoils in total viewers, with TEGNA8 alone in first with 25-to-54-year-olds. ABC’s trio of game shows, two of them hosted by Steve Harvey, swept Sunday’s prime-time Nielsens in the two major ratings food groups. Celebrity Family Feud, with Harvey at the helm, won the 7 p.m. hour in total D-FW viewers (159,964) and advertiser-prized 18-to-49-year-olds (48,107). Then came Steve Harvey’s Funderdome, which likewise scored twin wins with 123,609 total viewers and 41,692 in the 18-to-49 age range. The Michael Strahan-hosted $100,000 Pyramid made it a trifecta with the top 9 p.m. totals of 152,693 viewers and 44,899 in the 18-to-49 realm. ABC also drew the most 18-to-49-year-olds at 6 p.m., with 32,071 sitting still for America’s Funniest Home Videos. AFHM ran second in total viewers with 79,982 while CBS’ 60 Minutes led the way (116,338). The fourth edition of NBC’s Sunday Night with Megyn Kelly continued to struggle, running third in both total viewers (72,711) and 18-to-49-year-olds (12,828). Earlier Sunday on CBS, the dramatic end of the Travelers Championship peaked at 145,422 total viewers between 5:15 and 5:30 p.m. Dallasite Jordan Spieth won on the first overtime hole by chipping in from a sand trap shortly after 5:15 p.m., leaving Daniel Berger with a long putt that he came close to sinking. Spieth led the tournament from the first round to the last, but Sunday’s final round averaged only 79,982 total viewers in running well behind the afternoon Texas Rangers-New York Yankees game on Fox Sports Southwest (116,338 viewers). Friday’s prime-time Nielsens were led by CBS’ Hawaii Five-0 and Blue Bloods repeats in total viewers (167,235 apiece) and NBC’s Dateline among 18-to-49-year-olds (41,692). TEGNA8 nipped CBS11 for the most total viewers at 10 p.m. while Fox4 edged the ABC station in the 25-to-54-year-old demographic (main advertiser target audience for news programming). TEGNA8 uncommonly swept the 6 a.m. competitions and added a 5 p.m. win in total viewers. CBS11 drew the most total viewers at 6 p.m. and Fox4 reigned with 25-to-54-year-olds at both hours. 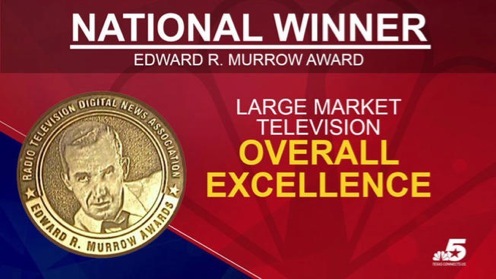 Fort Worth-based NBC5 is celebrating a treasure trove of four national Edward R. Murrow awards, including the top one for “Overall Station Excellence” in the large market competition. A companion publicity release says that NBC5 is the only station to receive a quartet of the prestigious awards, which are run by the Radio Television Digital News Association. Besides the trophy for overall excellence, NBC5 won for its Breaking News Coverage of the July 7th, 2016 police ambush in downtown Dallas; reporter Scott Friedman’s investigative series “Big Buses, Bigger Problems;” and for the sound accompanying a feature story on the Mariachi Sol Azteca band. Dallas-based TEGNA8 also won a Murrow for its entire newscast coverage of the police ambush. Tribune Broadcasting has scrapped the Dallas-originated Eye Opener after a five year-seven-month run and will be supplanting it on June 29th with Morning Dose. The show likewise will originate from CW33’s Dallas studios, where a new set is being built. 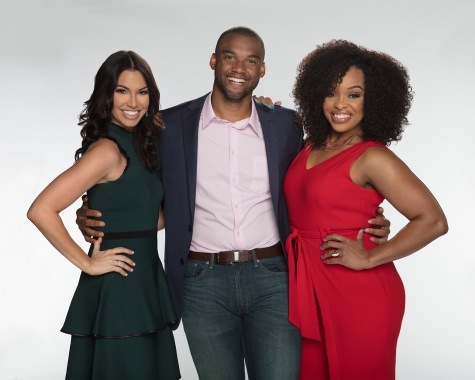 Eye Opener holdover Laila Muhammad is joining new co-hosts Melissa Rycroft and Brandon London. A Tribune news release bills Morning Dose as a “first of its kind, live social ‘wake-up’ Show” in partnership with the Dose media agency. The show will air from 5 to 8 a.m. weekdays, as did Eye Opener. Rycroft, a former Dallas Cowboys cheerleader, gained national fame as a prominent and eventually jilted contestant on ABC’s The Bachelor and as the champion of a 2012 “All-Star” edition of the network’s Dancing with the Stars. She’s also hosted ABC’s Bachelor Pad and CMT’s Redneck Island while serving as a contributor to the syndicated Access Hollywood and ABC’s Good Morning America. London is a former NFL football player and got a Super Bowl championship ring as a member of the New York Giants’ 2007-2008 practice squad. Oliver Tull, who had been Eye Opener’s longest standing co-host, and Neeha Curtis, are both being dropped. But Tribune-produced infotainment shows have doubled as revolving doors, so neither should be entirely written off. Eye Opener had its Dallas launch on Nov. 1st, 2011 after originating in Chicago. The show’s initial hosts were Douglas Caballero, Ellen Fox and Sean Dowling, with Toni Duclottni, Laura Thomas and Tommy Noel as featured contributors. ESPN’s marathon coverage of the NBA draft, which ran from 6:40 to 11:22 p.m., ended up as an air ball in the D-FW Nielsen ratings. Overall, the draft averaged just 58,169 viewers and dribbled off to 7,271 for the closing minutes. The audience peaked between 7:30 and 7:45 p.m., with 87,253 viewers on hand for the segment that included the Dallas Mavericks’ pick of point guard Dennis Smith, Jr. at 7:33 p.m.
Advertiser-coveted 18-to-49-year-olds also tuned out, with the draft averaging a lowly 22,450 viewers in this key demographic and 35,278 for the Mavs’ pick. In contrast, CBS’ 7 p.m. rerun of The Big Bang Theory hit Thursday night’s high point in total viewers with 210,862. It also led among 18-to-49-year-olds (44,899). ABC and NBC went head-to-head from 7 to 10 p.m. with the debuts of their summertime Thursday lineups. The Peacock’s trio of returnees led across the board in total viewers. Hollywood Game Night had 101,795, followed by The Wall (116,338) and The Night Shift (101,795). Hollywood Game Night also won among 18-to-49-year-olds, but CBS’ repeat of Mom ran first from 8 to 8:30 p.m. before the second half of The Wall edged CBS’ Life In Pieces reprise for the top spot. Then came ABC’s new version of The Gong Show, which outdrew both CBS and NBC in the 18-to-49 range but was beaten by Fox4’s competing 9 p.m. local newscast. The Gong Show dug out of a huge hole left by ABC’s two-hour debut of the “reality competition” series Boy Band, which mega-bombed from 7 to 9 p.m. with 36,356 total viewers and 16,036 in the 18-to-49 realm. Gong Show trampolined to 94,524 total viewers and 38,485 in the 18-to-49 demographic. TEGNA8 touted its 10 p.m. news during The Gong Show with a classic lowest common denominator tease by co-anchor Cynthia Izaguirre. She promised “wild video” of car crashes, a developing story on a killer bees attack and a “police chase you’ve got to see” involving a crazed 81-year-old grandma. “You don’t want to miss News 8 at tonight,” Izzy warned. Well, it sort of worked -- but not like clockwork. TEGNA8 and CBS11 tied for the 10 p.m. lead in total viewers, but Fox4 was tops with 25-to-54-year-olds (main advertiser target audience for news programming) while TEGNA8 slipped to second. Fox4 drew the most total viewers at 6 a.m., but NBC5 ran first with 25-to-54-year-olds. TEGNA8 and NBC5 shared the 6 p.m. spoils, with the ABC station drawing the most total viewers and NBC5 the choice among 25-to-54-year-olds. At 5 p.m., the Peacock and TEGNA8 tied for the most total viewers, but NBC5 comfortably won with 25-to-54-year-olds. NBC’s 7 p.m. premiere of Little Big Shots: Forever Young, in which ancient mariners stand on their heads and stuff, led a sluggish prime-time Wednesday in total D-FW viewers. LBS:FY lured 145,422 viewers to edge Fox Sports Southwest’s Texas Rangers-Toronto Blue Jays game (123,609). Among advertiser-prized 18-to-49-year-olds, Fox’s Masterchef led with just 35,278 viewers. The ratings returns were much stronger Tuesday night, with NBC again on top in both key measurements with its “reality competition” combo of America’s Got Talent and World of Dance. AGT amassed 261,760 total viewers and 102,627 in the 18-to-49 age range before World of Dance mopped up with respective totals of 167,235 and 76,970 viewers. Monday’s prime-time parade was topped by ABC’s two-hour edition of The Bachelorette, which had 167,235 total viewers and 67,349 within the 18-to-49 motherlode. Here are the Monday-Wednesday local news derby results. Monday -- TEGNA8 won at 10 p.m. in both total viewers and 25-to-54-year-olds (main advertiser target audience for news programming) while Fox4 did likewise at 6 a.m.
NBC5 and TEGNA8 tied for first at 6 p.m. in total viewers, but the Peacock was alone on top with 25-to-54-year-olds. At 5 p.m., the golds went to TEGNA8 in total viewers and Fox4 among 25-to-54-year-olds. Tuesday -- TEGNA8 again swept the 10 p.m. competitions, as did Fox4 at 6 a.m.
NBC5 led in total viewers at 5 and 6 p.m. while Fox4 was tops with 25-to-54-year-olds at both hours. Wednesday -- TEGNA8 stayed hot at 10 p.m. with another sweep while also tying Fox4 for the total viewers lead at 6 a.m. Fox4, NBC5 and TEGNA8 tied for the 6 a.m. gold among 25-to-54-year-olds. TEGNA8 capped off a big day with a 6 p.m. win in total viewers and Fox4 led with 25-to-54-year-olds. NBC5 joined the party with twin wins at 5 p.m.
NBC News and Megyn Kelly learned the hard way Sunday night. Their up-close look at hate-mongering lunatic Alex Jones turned off both major advertisers and D-FW viewers. The network’s 6 p.m. edition of Sunday Night with Megyn Kelly, with the first extended segment devoted to Jones, took a pounding from the final full hour of Fox’s U.S. Open golf coverage and CBS’ competing 60 Minutes repeat. Worse yet, major advertisers bailed, leaving Megyn Kelly with a mix of Ad Council-approved public service spots, promos for NBC shows and fire rate-seeking minor league sponsors. In other words, even strong ratings wouldn’t have mattered because the advertising wasn’t enough to pay NBC’s bills, including the anchor’s mega-salary for jumping from Fox News Channel. The U.S. Open, which ended at 7:13 p.m. with a decisive 4-stroke win by Brooks Koepka, drew 218,133 viewers for Fox’s final full hour of coverage from 6 to 7 p.m. 60 Minutes and its collection of previously aired stories had 123,609 viewers while Megyn Kelly clocked in with 65,440. The first 15 minutes of her show did make a stronger showing than the rest of the program, with 87,253 viewers before the final quarter-hour tailed off to 50,898. Among advertiser-coveted 18-to-49-year-olds, the U.S. Open easily led from 6 to 7 p.m. with 76,970 viewers while the 60 Minutes rerun had a slight edge over Megyn Kelly -- 15,073 to 14,432. Friday’s top prime-time performer, CBS’ 8 p.m. rerun of Hawaii Five-0, pulled in 133,788 total viewers while NBC’s two-hour reprise of America’s Got Talent was tops with 18-to-49-year-olds (40,409). On Thursday, the prime-time parade was led by CBS’ The Big Bang Theory rerun in both total viewers (189,049) and 18-to-49-year-olds (43,937). ABC’s 9 p.m. hour of The $100,000 Pyramid ran just a wisp behind Big Bang with 43,296 viewers in the key 18-to-49 age range. Thursday -- TEGNA8 won in total viewers at 10 p.m., but Fox4 drew the most 25-to-54-year-olds (main advertiser target audience for news programming). Fox4 and NBC5 tied for first place at 6 a.m. in total viewers while Fox4 had the 25-to-54 gold to itself. The Peacock swept the 5 p.m. competitions and added a 6 p.m. win in total viewers. TEGNA8 had the most 25-to-54-year-olds at 6 p.m. Fox4’s 5 and 6 p.m. newscasts were rubbed out by the Fox network’s U.S. Open coverage. Friday -- NBC5 prospered with sweeps at 5, 6 and 10 p.m. Fox4 remained in charge at 6 a.m. with twin wins. The latter station’s 5 and 6 p.m. editions again were blotted out by golf. On a night heavily devoted to reruns, new episodes of NBC’s Little Big Shots and Fox’s Masterchef topped the two major ratings food groups with smallish audiences. Wednesday’s 7 p.m. hour of LBS drew 189,049 total D-FW viewers to lead in that measurement while Masterchief pulled in a prime-time high of 35,278 viewers in the advertiser-prized 18-to-49-year-old age range. CBS11’s 6:30 p.m. edition of the syndicated Wheel of Fortune had far more total viewers (232,675) than any prime-time entry. So let’s just get to the local news derby results. Fox4 and CBS11 tied for the most total viewers at 10 p.m., but Fox4 was alone on top with 25-to-54-year-olds (main advertiser target audience for news programming). Fox4 again swept the 6 a.m. competitions. At 6 p.m., CBS11 ran first with total viewers while Fox4 and NBC5 tied for No. 1 with 25-to-54-year-olds. The 5 p.m. golds went to NBC5 in total viewers and TEGNA8 among 25-to-54-year-olds. Prime-time Tuesdays belong to NBC this summer, as the Peacock has proven again. The 7 to 9 p.m. edition of America’s Got Talent ruled in total D-FW viewers (334,471) and advertiser-coveted 18-to-49-year-olds (86,592) before World of Dance likewise swept the 9 p.m. hour with 196,320 viewers overall and 64,142 in the 18-to-49 realm. The Texas Rangers’ fifth straight win, on the road versus the Houston Astros, averaged 130,880 total viewers on Fox Sports Southwest, with the first two hours of the game trailing CBS’ rerun combo of NCIS and Bull. ABC’s new episode of Downward Dog managed a scrappy second-place finish from 7 to 7:30 p.m. in the 18-to-49 motherlode, trailing only AGT. NBC5 beat TEGNA8 by a paper-thin margin at 10 p.m. in total viewers but lost to the ABC station among 25-to-54-year-olds (main advertiser target audience for news programming) despite a massive lead-in advantage from the last 15 minutes of World of Dance. The Peacock had a much better time of it in the early evening, sweeping both the 5 and 6 p.m. competitions. Fox4 notched twin wins at 6 a.m. The Golden State Warriors both reclaimed the league championship and helped set a D-FW ratings high mark for the climactic Game 5 of the NBA Finals on ABC. The Warriors’ 129-120 win over the Cleveland Cavaliers, which stretched to 10:44 p.m., averaged 530,790 viewers and 266,189 in the advertiser-coveted 18-to-49-year-old demographic. Both numbers were the top scorers for this year’s Finals while also beating the Game 5s between the two teams in 2016 and 2015. The 2016 Game 5 had 495,768 total viewers and 260,407 in the 18-to-49 age range. In 2015, Game 5 drew 474,232 total viewers, with 236,535 of them in the 18-to-49 realm. In contrast, Friday night’s Game 4 of this year’s NBA Finals fell below those previous years’ ratings. On Fox Sports Southwest, the up-and-down Texas Rangers’ fourth consecutive win, this time on the road against the front-running Houston Astros, drew a respectable 159,964 total viewers, but just 41,692 in the 18-to-49 age range. NBC’s two-hour edition of American Ninja Warrior was the No. 2 prime time attraction in both ratings measurements, with 167,235 total viewers and 70,556 within the 18-to-49 motherlode. And now for Monday’s local news derby results. NBC5 won a downsized three-way race at 10 p.m. in total viewers while Fox4 drew the most 25-to-54-year-olds (main advertiser target audience for news programming). The Peacock nipped Fox4 for the total viewers gold at 6 a..m., but Fox4 again was tops with 25-to-54-year-olds. Fox4 swept the 6 p.m. competitions and NBC5 did likewise at 5 p.m. The Pittsburgh Penguins’ second straight Stanley Cup win paced all Sunday night programming among advertiser-prized 18-to-49-year-olds while tying the competing Tony Awards in total D-FW viewers. A 2-0 victory over the Nashville Predators on their home ice made Game 6 the Stanley Cup finale. Within the 18-to-49-year-old motherlode, NBC’s telecast averaged 73,763 viewers. Sunday’s runner-up attraction, Fox4’s 9 p.m. local newscast, drew 60,935 viewers in this key demographic. Both the Stanley Cup and CBS’ Tonys had 138,151 total viewers while the Texas Rangers’ afternoon road win over the Washington Nationals also checked in with 138,151 viewers on Fox Sports Southwest. ABC’s 7 p.m. episode of Celebrity Family Feud outdrew hockey and the Tonys with 189,049 total viewers. And from 9 to 10 p.m., Fox4’s local news led with the same number of viewers while the Stanley Cup nipped ABC’s The $100,000 Pyramid for second place in that hour. In Sunday’s other matchup of note, CBS’ 60 Minutes rebounded from an opening week loss to beat the second hour of NBC’s Sunday Night with Megyn Kelly in total viewers (174,506 to 101,795) and 18-to-49-year-olds (41,692 to 28,864). On to Friday night, where the Cleveland Cavaliers kept their slight hopes alive by routing the Golden State Warriors 137-116 in Game 4 of the NBA Finals on ABC. Golden State now leads the series three games to one. CBS11 had the most total viewers at 10 p.m. in a downsized three-way race while NBC5 edged Fox4 among 25-to-54-year-olds (main advertiser target audience for news programming). Fox4 racked up a pair of decisive 6 a.m. wins and NBC5 likewise dominated with a 5 p.m. sweep. The 6 p.m. golds went to TEGNA8 in total viewers and the Peacock with 25-to-54-year-olds. Fired former FBI director James Comey’s public testimony Thursday morning drew blanket live coverage on the Big Four broadcast networks and cable’s trio of newsers. Hand-held calculator technology says that’s a grand total of 428,995 viewers. Wednesday night’s Game 3 of the NBA Finals drew 450,808 total viewers on ABC alone. In Thursday’s prime-time Nielsens, CBS’ 7 p.m. repeat of The Big Bang Theory topped all TV attractions with 196,320 viewers. ABC’s 8 p.m. hour of Celebrity Family Feud led among advertiser-prized 18-to-49-year-olds with 51,314. NBC’s Game 5 of the Stanley Cup Finals, a 6-0 rout by the Pittsburgh Penguins over the Nashville Predators, averaged 101,795 total viewers, with 48,107 in the 18-to-49 realm. TEGNA8 won at 10 p.m. in both total viewers and 25-to-54-year-olds (main advertiser target audience for news programming). Fox4 swept the 6 a.m. competitions and TEGNA8 did likewise at 6 p.m. The 5 p.m. firsts went to NBC5 in total viewers and Fox4 with 25-to-54-year-olds. ABC’s Game 3 of the NBA Finals, a down-to-the-wire contest after the two previous blowouts, drew more total D-FW viewers than the third games of the 2015 and 2016 match ups between the Golden State Warriors and Cleveland Cavaliers. The Warriors’ late rally gave them a 118-113 win Wednesday and an almost assuredly insurmountable 3-0 lead over the defending champs. It averaged 450,808 viewers, up from 410,779 for last year’s Game 3 and 432,388 for 2015’s. Among advertiser-prized 18-to-49-year-olds, this year’s Game 3 had 202,047 viewers, improving on last year’s 196,893. But Game 3 of the 2015 Warriors-Cavs matchup far surpassed both of them with 252,304 viewers within the 18-to-49 motherlode. Over on Fox Sports Southwest, the Texas Rangers’ latest loss, at home to the New York Mets, had 138,151 total viewers. CBS11 won a downsized three-way race at 10 p.m. in total viewers while NBC5 had the edge among 25-to-54-year-olds (main advertiser target audience for news programming). Fox4 and NBC5 tied for the top spots at 6 a.m. in both ratings measurements. The Peacock swept the 5 p.m. competitions and also drew the most 25-to-54-year-olds at 6 p.m. TEGNA8 ran first with total viewers at 6 p.m.
NBC’s America’s Got Talent crushed everything else in sight Tuesday night before the Peacock’s second episode of World of Dance held steady in the 9 p.m. hour. AGT drew 312,657 D-FW viewers while also leading all prime-time programming among advertiser-prized 18-to-49-year-olds (80,178 viewers). World of Dance then took command at 9 p.m. with 218,133 total viewers and 67,349 in the 18-to-49 age range. Fox4’s 9 p.m. local newscast ranked a solid second at that hour in both ratings measurements. ABC’s fourth episode of Downward Dog, a personal fave, again fought for its life by ranking second from 7 to 7:30 p.m. with 18-to-49-year-olds. But it competed opposite reruns on CBS and Fox while drawing a very smallish 19,243 viewers in the 18-to-49 realm. On Monday, CBS’ Scorpion repeat led all prime-time programming with an average of 152,693 total viewers. Still, NBC’s Game 4 of the Stanley Cup Finals between the Nashville Predators and Pittsburgh Penguins had the night’s top peak audience of 174,506 viewers between 9:45 and 10 p.m. The matchup drew an average of 138,151 viewers overall. NBC is quite happy with those numbers, and even more pleased with hockey’s stronger performance among 18-to-49-year-olds. It beat all Monday night programming in that key demographic with an average of 60,935 viewers. The Stanley Cup Final is now tied at two games apiece, with all remaining match ups airing on the NBC broadcast network rather than the Peacock’s comparatively invisible cable sports channel. Also, ABC’s new Still Star-Crossed continued to die in the 9 p.m. hour with 36,356 total viewers and a next-to-nothing 2,886 in the 18-to-49 realm. In that context, Downward Dog is a ratings Colossus. Monday -- CBS11 nipped TEGNA8 for the top spot at 10 p.m. in total viewers while NBC5 corralled the most 25-to-54-year-olds (main advertiser target audience for news programming). Fox4 swept the the 6 a.m. competitions and NBC5 did likewise at 5 p.m. The 6 p.m. golds went to the Peacock in total viewers and Fox4 among 25-to-54-year-olds. Tuesday -- TEGNA8 had the most total viewers at 10 p.m., with Fox4 tops among 25-to-54-year-olds. NBC5 frittered away its 9:45 to 10 p.m. lead-in advantage from World of Dance to respectively run second and third. The 6 a.m. firsts were split between Fox4 in total viewers and NBC5 in the 25-to-54-year-old demographic. NBC5 otherwise enjoyed the early evening, with sweeps at both 5 and 6 p.m.
CBS11’s new weekend meteorologist will be Anne Elise Parks, the station announced Monday. She’s scheduled to start on July 3rd and will arrive from Fox affiliate KTVI-TV in St. Louis, where she spent the last three years. “I am thrilled to join the talented, experienced CBS11 weather team and look forward to making North Texas home,” Parks says in a publicity release. The Mississippi State University graduate says she also “can’t wait to cheer on” Dallas Cowboys quarterback and fellow Bulldog Dak Prescott. 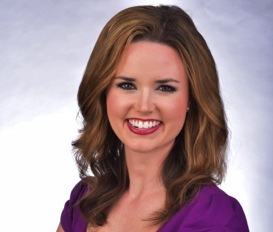 Parks replaces Lisa Villegas, who was dropped by CBS11 in March of this year. She also was KTVI’s weekend weathercaster and previously worked at WTWO/WAWV-TV in Terre Haute, Ind. 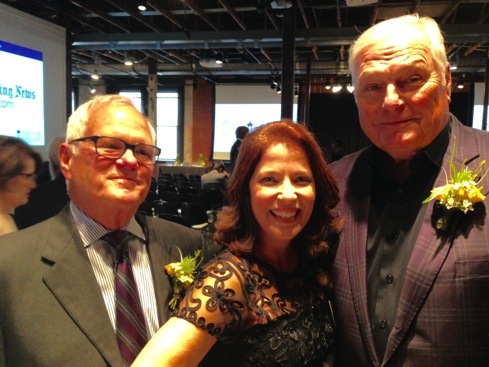 A sold-out house at the Sixth Floor Museum in downtown Dallas witnessed the inductions of 13 new North Texas Legends Saturday night before Mayor Mike Rawlings capped off the event by ribbing honoree Dale Hansen and then championing the Press Club of Dallas. 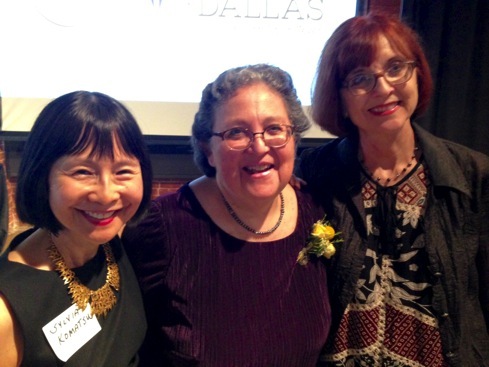 It was the Press Club’s seventh annual such ceremony, with the D-FW market’s equivalent of a media Hall of Fame now boasting a total of 95 members. The night’s only no-show was trailblazing radio personality Tom Joyner, who became famous in the 1980s as the “fly jock” who for eight years originated shows from both Dallas and Chicago. An email sent on the morning of the event from one of his representatives said that Joyner would not be attending due to “unforeseen circumstances.” Sybil Wilkes, co-host of the Dallas-based Tom Joyner Morning Show, accepted on his behalf. She said he was extremely honored. Joyner’s son, Tom Joyner, Jr., was in the audience along with contingents from both the radio show and The Tom Joyner Foundation. In contrast, some honorees made yeoman efforts to attend, which had been the only prerequisite for induction. Yolette Garcia, the former KERA TV/radio stalwart, canceled an already arranged trip to Boston for her 40th college reunion. And country music radio giant and songwriter Bill Mack, who turned 85 on Sunday, journeyed from Fort Worth with his wife, Cindy, before making his way back to the city for an already planned birthday celebration by his family. It’s why he made his remarks first at Saturday’s ceremony. 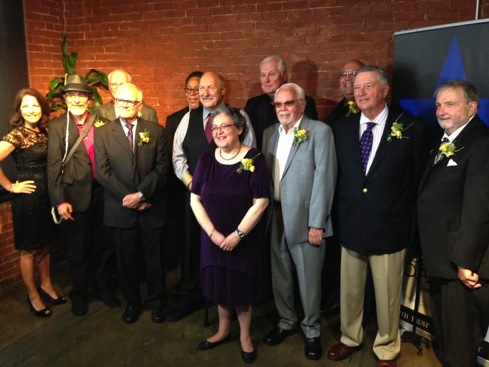 Previous North Texas Legends honorees in attendance included Tracy Rowlett, David Finfrock, Scott Murray, Sylvia Komatsu, John Anders, Carolyn Barta, Carlton Stowers, Helen Bryant Anders, John Gudjohnsen, Mike Corcoran and Press Club Board members Hugh Aynesworth and Jo Ann Holt Caussey. Catering was by Chad Houser and his downtown Dallas Cafe Momentum, which is dedicated to turning the lives around of “at risk youth” who have spent time in juvenile detention facilities. A total of 22 sponsors paid $250 apiece in support of North Texas Legends and/or various recipients. NBC5 anchor/reporter Cory Smith emceed. Your friendly content provider was privileged to be the event’s principal chair and also a member of the nominating committee. Here are a few highlights from the speeches of the 12 honorees in attendance, along with pictures from the event. 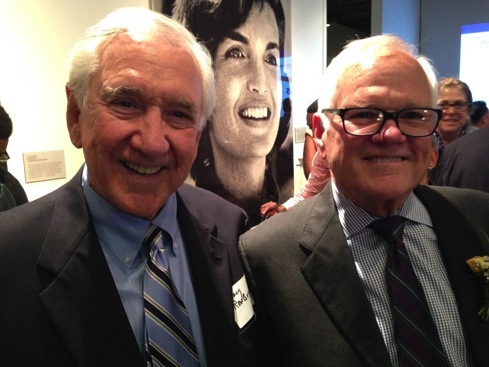 Radio giants/honorees Norm Hitzges and Bill Mack. BILL MACK -- Radio’s king of the country music road also wrote LeAnn Rimes’ first hit song, Blue, which in 1996 won a Grammy Award for “Best Country Song.” It clearly was the highlight of his 65 years in broadcasting. MIKE BLACKMAN -- The former executive editor and vice president of Fort Worth’s Star-Telegram noted that he flunked English in college, but that some people always believed in his ability to write stories. BILL DEORE -- For 34 years, his editorial cartoons and sports illustrations were a staple of The Dallas Morning News. 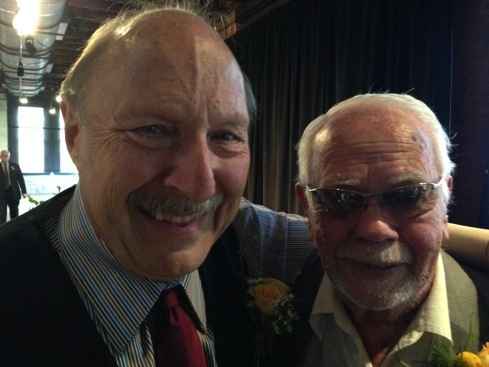 But DeOre said that many had come to the DMN drawing board before him, including the legendary John Knott. “This is just as much for them as it is for me,” he said of his award. NORM HITZGES -- Still going strong at KTCK (“The Ticket”) radio, the trailblazing sports talker noted that he began his career as a TV sports anchor at KDFW-TV (Channel 4), where he got fired. Hitzges said with relish that he’s now celebrating 42 years in sports talk radio. WFAA inductees Byron Harris, Janet St. James, Dale Hansen. He instead became one of the first African-American photographers at both KDFW and WFAA before recently retiring as NBC5’s news operations manager after 16 years in that position. JOHN LUMPKIN -- After a long career with the Associated Press, he spent five years as director of the Schieffer School of Journalism at Texas Christian University. 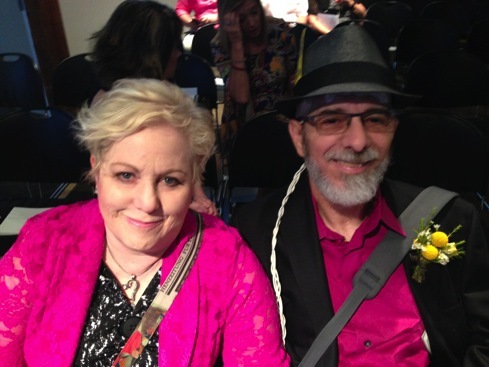 Honoree Jeffrey Weiss of The Dallas Morning News & wife, Marnie. 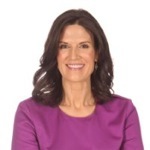 JANET ST. JAMES -- She became the gold standard for medical reporting during 19 years at WFAA before leaving to take an executive position with Medical City Healthcare. “I am more than honored that someone would speak my name with the true legends in this room,” said St. James, who also is a breast cancer survivor after being diagnosed just before starting her new job. JEFFREY WEISS -- He joined The Dallas Morning News in 1988, eventually becoming the paper’s head religion writer. But at first, “I was always curious about things and I would find odd things to write about,” which the DMN encouraged, he said. In December of last year, Weiss was diagnosed with the brain cancer glioblastoma, and has been writing about living day to day with his illness. 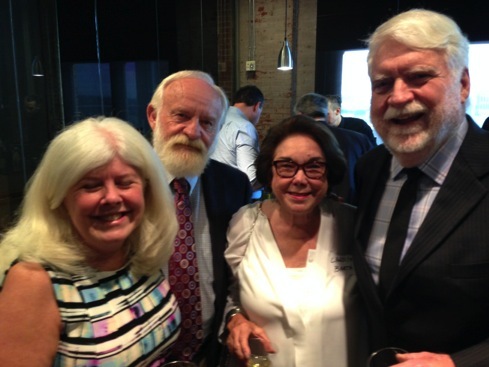 Previous Dallas Morning News North Texas Legends honorees Helen Bryant Anders, Carlton Stowers, Carolyn Barta and John Anders. It’s a good thing that Hitzges’ annual “Norm-a-thon” benefits the Austin Street Shelter for the homeless, Hansen said. Because those who follow his longrunning “Picks of the Pole” sports betting touts wind up needing the facility. But seriously, folks, the dean of D-FW sports anchors ended by quoting Robert F. Kennedy: “We live on in the future we make.” Still, he couldn’t resist a postscript. His predecessor at WFAA, Verne Lundquist, was deemed an impossible act to follow, Hansen said. Fair enough. Then again, “Verne Lundquist was never on Ellen DeGeneres either.” But Hansen was. 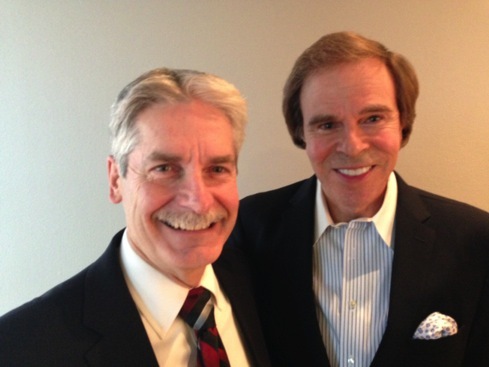 Previous NBC5 honorees David Finfrock and Scott Murray, who inducted Harold Taft along with his son, Rafael Taft. HAROLD TAFT -- The Press Club’s first ever posthumous inductee also was D-FW’s inaugural TV weatherman, beginning in 1949 at the then WBAP-TV. Taft was made of stern stuff, rising to the level of colonel in the Texas Air National Guard after an earlier stint with the Army during World War II. “He never went on vacation. He went on leave,” said current NBC5 chief meteorologist David Finfrock, whom Taft hand-picked as his assistant back in 1975. Both Murray and Taft were pallbearers at Taft’s funeral in September of 1991. His son, Rafael Taft, likewise a military veteran and now a Grand Prairie police officer, said “he was just dad” throughout his long TV career. Previous honoree Tracy Rowlett & Byron Harris, who remain close friends. Both were hired from the same Oklahoma City station. Mayor Rawlings ended the night by acknowledging that he worked at the now defunct WFAA-AM radio for a year before getting fired. The debut of NBC’s Sunday Night with Megyn Kelly, featuring an opening interview with a naysaying Vladimir Putin, went toe-to-toe at 6 p.m. with 60 Minutes -- and got a leg up. Megyn Kelly drew 174,506 D-FW viewers compared to 152,693 for 60 Minutes, which began at its appointed hour after the rain-delayed Memorial golf tournament was pushed over to the Golf Channel. NBC’s new wonder woman also had 44,899 viewers in the advertiser-prized 18-to-49-year-old age range while 60 Minutes managed just 25,657. Megyn Kelly ran first in this key demographic from 6 to 6:30 p.m., beating Jimmy Kimmel’s fun-and-games NBA Finals warmup act. But ABC’s 6:30 to 7 p.m. pre-game show then beat her with 57,728 viewers in the 18-to-49 realm. Game 2 of the Finals, which ended up in another Golden State Warriors rout of the Cleveland Cavaliers, averaged 428,995 total viewers and 221,290 in the 18-to-49 motherlode. Those total were down from last year’s Game 2 between the two teams, which had respective totals of 488,686 and 244,529 viewers. The Warriors’ second blowout win may have depressed Sunday night’s numbers. But both of 2016’s first two games also were one-sided Golden State victories, with an even larger 33-point margin for Game 2. The Warriors won last night by a 132-113 score. Interestingly, 2015’s first NBA Finals encounter between the two teams resulted in nail-bitters in both Games 1 and 2. That year’s Game 1 drew smaller audiences than either the 2016 or 2017 openers. But 2015’s Game 2, won by the Cavs in the final seconds, beat this year’s equivalent with 446,336 total viewers and 236,535 in the 18-to-49 age range. OK then, on to a rerun-soaked Friday night, where CBS’ 9 p.m. episode of Blue Bloods pulled in the most total viewers (154,874) while Fox4’s 9 p.m. local newscast and ABC’s 20/20 tied for the top spot with 18-to-49-year-olds (48,107 apiece). CBS11 reappeared in the winner’s circle by drawing the most total viewers at 10 p.m. while Fox4 ran first with 25-to-54-year-olds (main advertiser target audience for news programming). Fox4 also drew the most total viewers at 6 a.m., and tied NBC5 for the top spot with 25-to-54-year-olds. The Peacock had the most total viewers at both 5 and 6 p.m., but Fox4 reigned at those hours among 25-to-54-year-olds. ABC’s Game 1 of the “rubber match” between the Golden State Warriors and Cleveland Cavaliers soared over all competing programming Thursday night, but not as much as last year’s opener did. Running until just a bit past 10:30 p.m., the Warriors’ 113-91 rout of the Cavs averaged 501,706 D-FW viewers and 237,325 in the advertiser-prized 18-to-49-year-old demographic. Last year’s opener, also a one-sided win by Golden State, drew 517,015 total viewers and 288,989 in the 18-to-49 age range. The 2015 Game 1 between the two teams was far closer, with the Warriors winning in overtime. Still, it fell well short of the most recent two with 404,492 total viewers and 214,458 within the 18-to-49 realm. Jimmy Kimmel’s 7 p.m. pre-game show on ABC had 94,524 total viewers in running third in its time slot behind CBS’ The Big Bang Theory and the first half-hour of Fox’s second episode of Beat Shazam. Kimmel tied for second with Big Bang among 18-to-49-year-olds, with Beat Shazam topping the field. NBC5 won a downsized three-way race at 10 p.m. while Fox4 ran first with 25-to-54-year-olds (main advertiser target audience for news programming). Fox4 had twin wins at 6 a.m. and TEGNA8 swept at 5 p.m.
TEGNA8 also won in total viewers at 6 p.m. and shared the top spot with Fox4 among 25-to-54-year-olds. Wednesday’s prime-time numbers were largely inconsequential. But Tuesday brought the premiere of Jennifer Lopez’s World of Dance, which high-stepped it for NBC. World of Dance drew 247,217 D-FW viewers in the 9 p.m. hour while also dominating among advertiser-prized 18-to-49-year-olds (86,592). The Peacock’s preceding 7 to 9 p.m. season premiere of America’s Got Talent, with new host Tyra Banks, also won easily with 18-to-49-year-olds (76,970) and had Tuesday’s biggest haul of total viewers (269,031). Still, its slower-starting first hour was outdrawn by CBS’ competing NCIS repeat, which had 254,489 viewers. Leading into a batch of ABC reruns, the 7 p.m. third episode of Downward Dog was the network’s biggest draw in both total viewers (72,711) and 18-to-49-year-olds (25,637). But it still ran last in its time slot among the Big Four broadcast networks. ABC will have a big night, Thursday, though, with Game 1 of the NBA Finals between the Cleveland Cavaliers and Golden State Warriors. Here are the Tuesday and Wednesday local news derby results. Tuesday -- TEGNA8 overcame NBC5’s significant lead-in advantage to impressively win at 10 p.m. in both total viewers and 25-to-54-year-olds (main advertiser target audience for news programming). Fox4 swept the 6 a.m. competitions and added 5 and 6 p.m. firsts among 25-to-54-year-olds. NBC5 had the most total viewers at 5 and 6 p.m.
Wednesday -- TEGNA8 and CBS11 shared the 10 p.m. spoils in total viewers but Fox4 dominated in the 25-to-54 demographic. Fox4 won in total viewers at 6 a.m. while NBC5 was tops with 25-to-54-year-olds. The 6 p.m. golds went to TEGNA8 in total viewers and NBC5 in the 25-to-54 realm. At 5 p.m., the Peacock prevailed in total viewers and Fox4 drew the most 25-to-54-year-olds.